Gypsy Scholar: En-Uk's Spaced-Out, Toilet-Trained, Conference-Attending Horse? 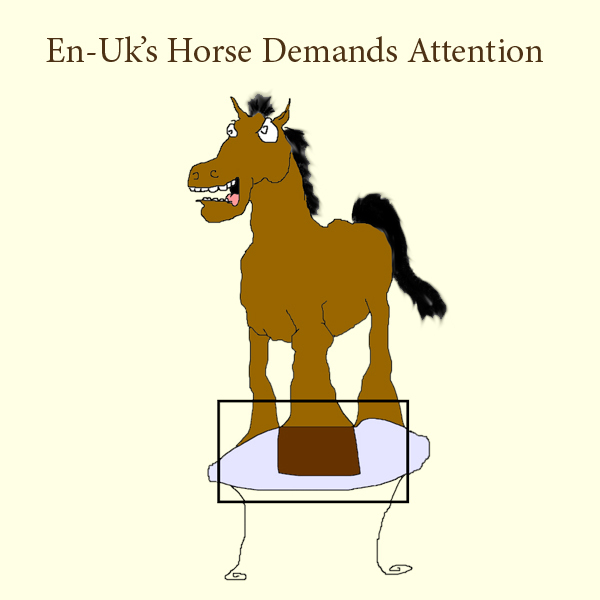 En-Uk's Spaced-Out, Toilet-Trained, Conference-Attending Horse? 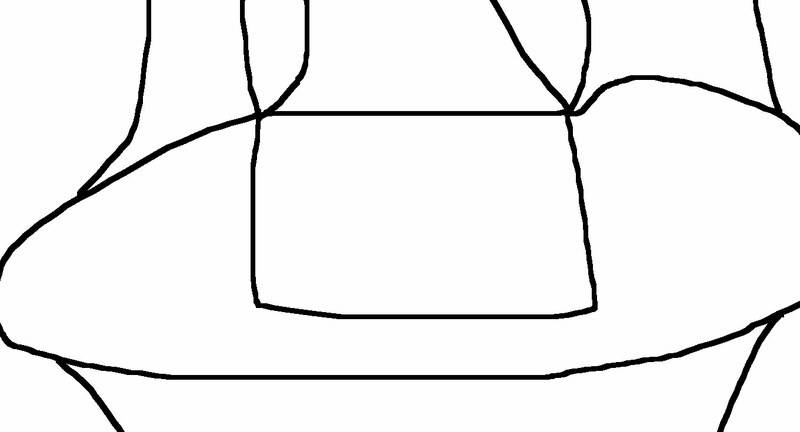 This drawing is called "Space Craft." I made this drawing because I like space crafts. Bye. Next time, show the entire spacecraft, not just the toilet! Horse angrily pounds conference table to get everyone's attention. Attached is a gift for En-Uk, done up roughly in his current drawing style, in which I've fleshed out my vision of the horse pounding angrily on the conference table. 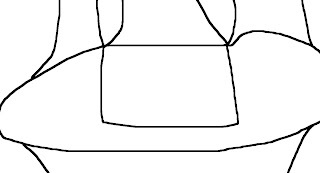 The rectangle in the picture surrounds En-Uk's original artwork, which inspired the rest. I think that it's great! Thanks, Kevin, from En-Uk and me. I hope your family had a happy Easter. Thanks for the mention! We scarcely noticed Easter this time, but thanks for the well wishes. Also, again, for the artwork . . . Hold on, En-Uk: it is so sad to live in a world where people don't understand art! Just because of Easter? But I thought that there had been a lot of joyful, creative misunderstanding of art . . .
That's nearly as bad as using toilet water to freshen up . . .
Make Love, Not War . . . The West's Success: 'Caesarean Section'? Who ate up all the . . .
Poetry Break: "Epitaph for a Logician"
David Lynn Jones: "Lonely Town"